General Biographical Description: Ippokratis Sarris graduated from Trinity College, Cambridge, in 1999 and then completed his medical degree at Magdalen College, Oxford, in 2002. He then started to specialize in the field of Obstetrics and Gynaecology in London. In 2009 he became a Member of the Royal College of Obstetricians and Gynaecologists. He joined OMPHI (Oxford Maternal Perinatal Health Institute) in 2009 for 2 years as a Clinical Research Fellow working for the international INTERGROWTH-21st study. His research work during this time formed the basis for his thesis for the Doctor of Medicine (DM) degree. Ippokratis is lead editor and co-author of two post-graduate textbooks in the field of Obstetrics and Gynaecology and has published a number of peer reviewed articles and book chapters. Ippokratis is also co-founder and chairman of MaTI (Maternity Training International). 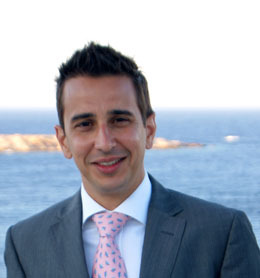 He is currently working in Newcastle as a Subspecialist Registrar in Reproductive Medicine and Surgery. His current interests are reproductive medicine and surgery, ultrasound, medical education and international maternity training projects.